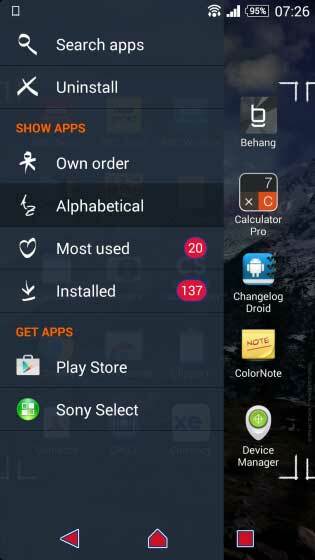 Sony Mobile has launched a New Xperia Theme known as Support Nepal. Nepal was subjected to a mass tragedy earthquake recently in April which took about 9000 lives and injured 2300 people. It was said that it was the worst natural disaster to strike Nepal since 1934. 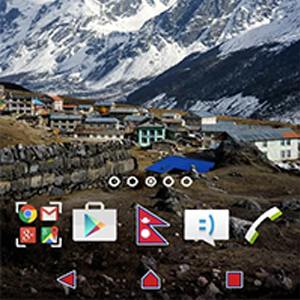 Sony Mobile has created this theme with the beauty of the amazing nation Nepal to encourage the users to Donate to Nepal through Oxfam Sweden. Right now nepal is a country of stark contrast. Also Nepal is beautiful and blessed with diverged cultures and amazing landscapes. but Nepal faced grave crisis as said above. as we know Nepal was attacked by an devastating Earthquake that even moved the mount Everest, but have created a humanitarian crisis that will continue affecting Nepal and its people. Brian Sokol who was a US-born photographer and Sony Global Imaging Ambassador started his career as a Himalayan guide in Nepal. When Sony planned this theme to donate Nepal Sony asked him to give a eye catching Images. This theme is packed with a series of images which were taken by Sony Global Imaging Ambassador Brian Sokol to remind the people how beautiful is the Nepal. 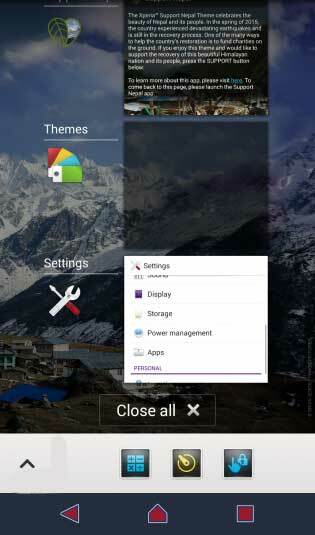 Also the Support Nepal Xperia theme contains the details that how users can donate to Nepalis to reconstruct their country as quickly as possible. 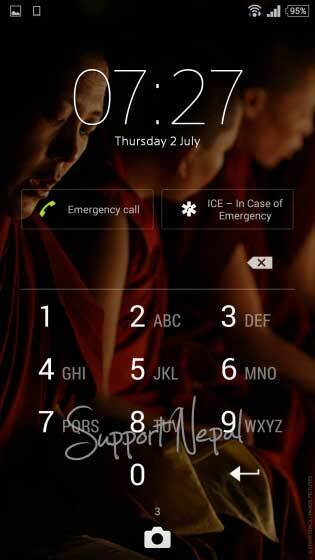 To make this theme Sony mobile has teamed with Oxfam Sweden. Oxfam is a organization that currently working in Nepal, distributing rice seeds to farmers before the monsoon season starts. Oxfam is committed to responding to the Nepal disaster for the next three years. To support Oxfam Sweden, please click here.